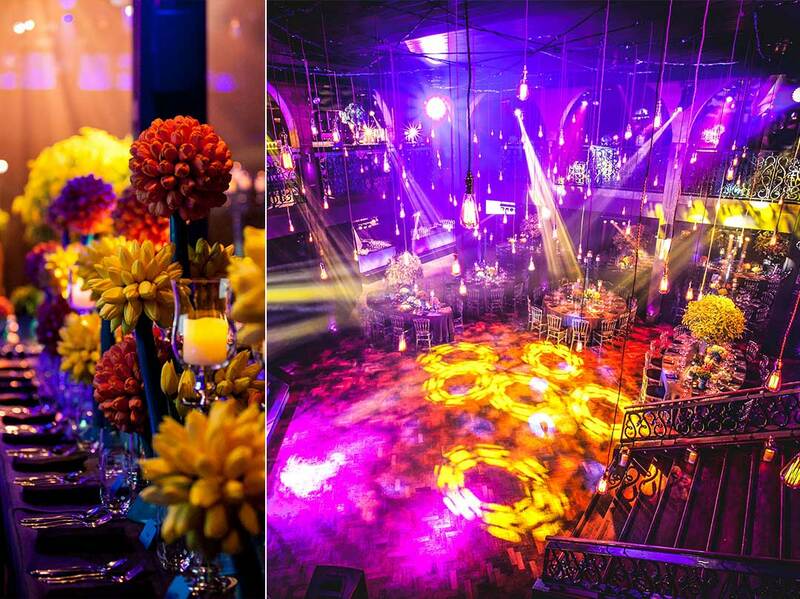 A musical family, driven by rock music, wanted an elegant and classic Bar Mitzvah with an edge to entertain. The evening flowed in a traditional way but with a dazzling décor that was enough to ‘wow’ all guests. 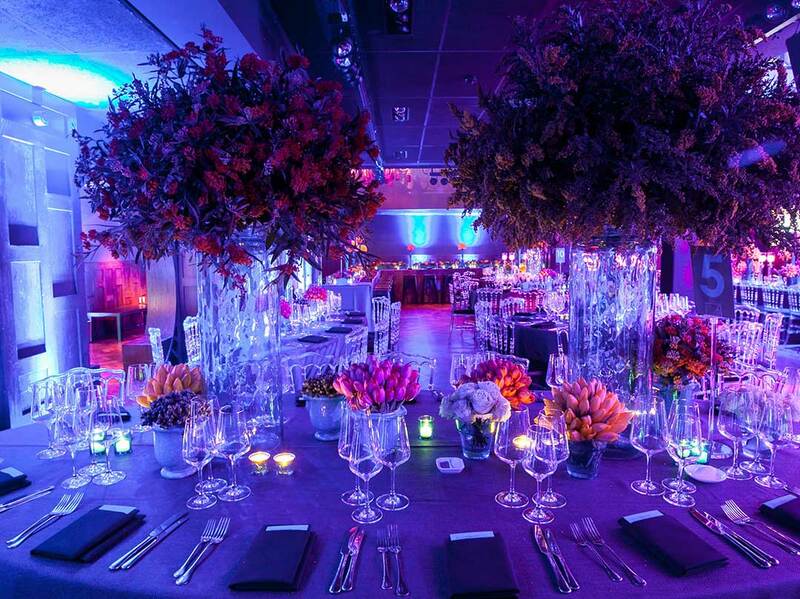 This blank-canvas venue in central London provided the perfect shell to create a memorable and interesting event for this family. On arrival, all guests were invited upstairs for a drinks reception where delicious canapés and culinary delights were served, along with a selection of creative beverages prepared by the chosen caterer. With all guests present and enjoying themselves, it was time to get the party started by inviting them to the main area of the venue. This central space was filled with tables decorated with glorious floral designs, bespoke stationery and co-ordinated elements to enhance the overall theming. Suspended over the whole area was a stunning display of filament bulbs, all rigged at different levels to provide an effective urban ceiling of light. 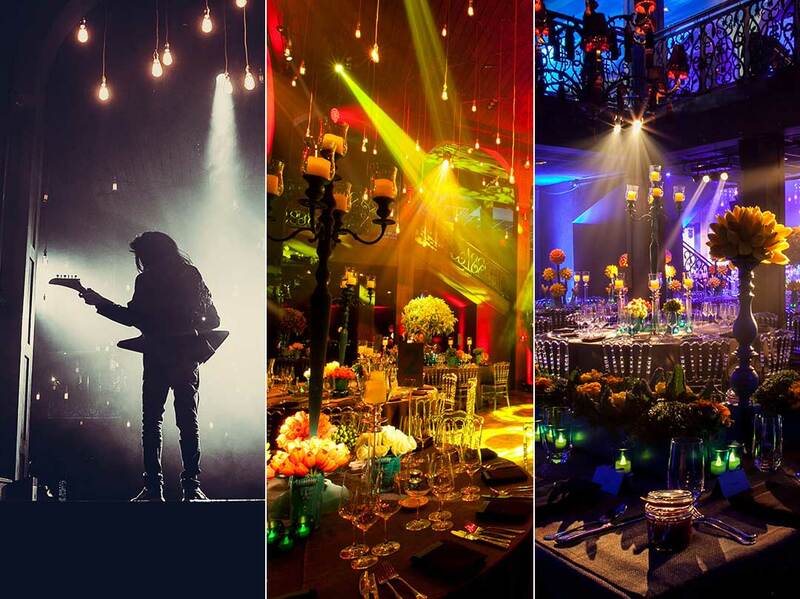 Production in the form of sound and lighting were particularly important for this event since the lighting created interest, highlighted chosen areas and provided an ever-changing colourful delight. The importance of sound was yet to be discovered by the guests, but when the moment arose, they were in for a treat. The guests were on the dance floor, the party was beginning and the bar mitzvah boy was ready for his entrance… rock and roll style! With his brother and father already on stage playing their guitars and providing an impressive soundtrack, the bar mitzvah boy made his appearance with his own guitar and took on the role of a complete superstar! There was no stopping this musically talented family and the party, at this point, really had begun. As the evening progressed and the dinner was well underway, all guests were embracing the party and would continue to fill the dance floor at every given opportunity. A show band flown in from Paris was the perfect choice for this event as they provided such a high level of entertainment and were a delight both to watch and listen to. 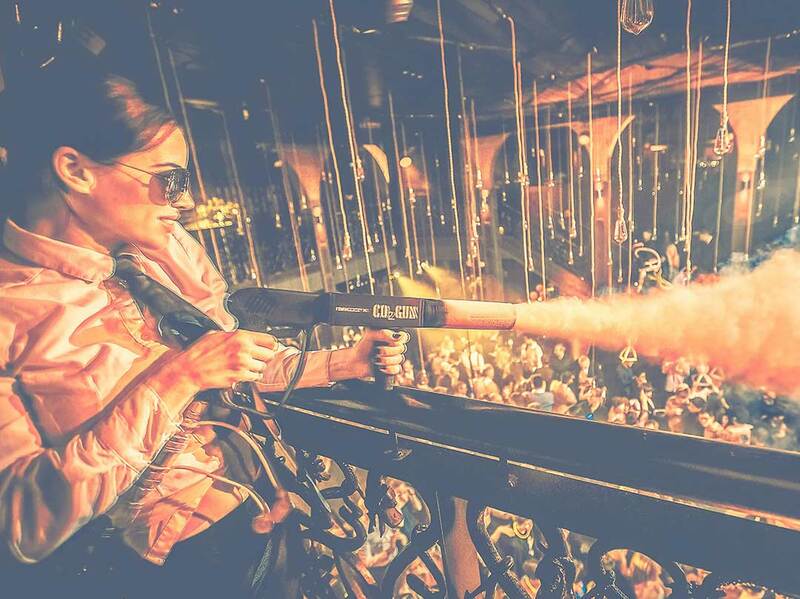 During the party, there were endless intricately planned entertainment areas including a VIP arcade room, shot girls, UV neon balloons and even CO2 guns fired from the balcony to cool the dancing guests down and create an atmosphere. With so much going on, the guests’ senses were in overdrive and they were thriving on every part of the evening. 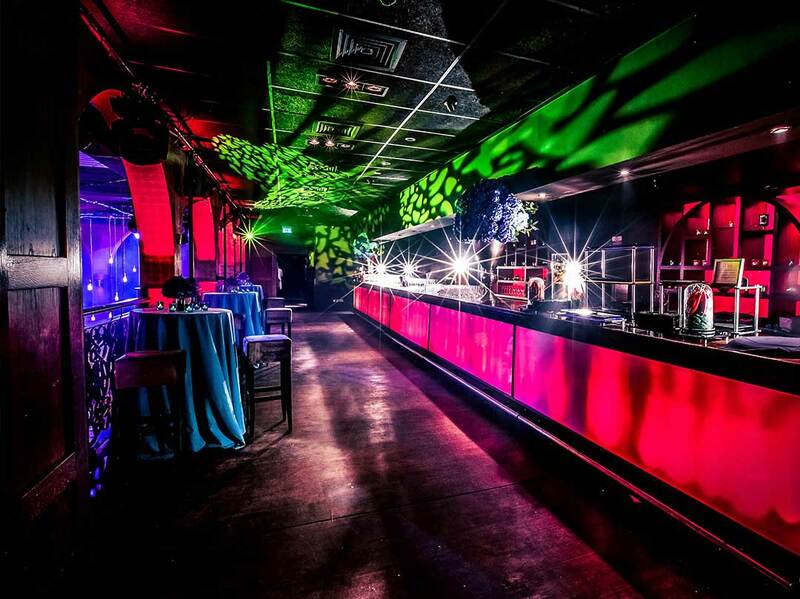 At the end of the evening the party had reached an impressive peak and, when the music turned off and the bar closed, the guests left the venue on an all-time high.